No matter how good the couch cushions look, they may not smell their best from day-to-day use and wear. Whether your pet claimed the couch as his own or more than a few foods or drinks were spilled on the couch, you can remove these foul odors even if the cushion covers are not machine washable. Test any liquid-based odor removal methods in an inconspicuous area first to ensure the cleaning solution doesn't discolor the upholstery. When fur-covered pets share the furniture with you, there's a good chance your couch cushions smell quite a bit less than fresh. 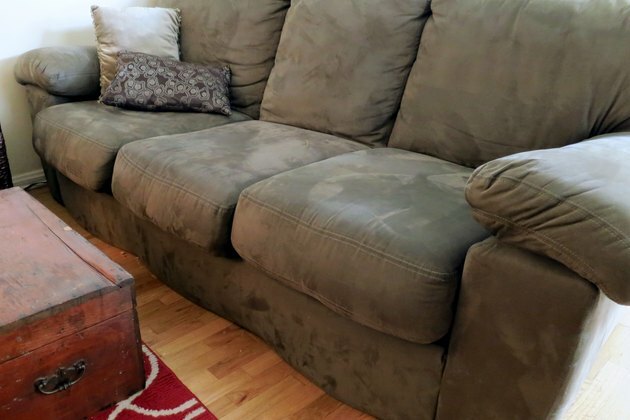 Wet or dirty fur contribute funky odors to the couch. Even without pets, couch cushions may not smell so great, simply from day-to-day use. In either case, vacuum the cushions once with an upholstery brush attachment, and then sprinkle them with baking soda. Allow the baking soda to set for 30 minutes or so, and vacuum the cushions again. Vacuum the flip sides of any cushions that can be removed from the couch as well. Vacuuming removes fur, dander, dust and small food particles that may contribute to the odor, while baking soda absorbs deep-seated smells, including body odors. Cushions that smell musty or stale benefit from a dose of fresh air. Take removable cushions outdoors on a non-humid day and air them out all day, if possible. Sprinkle baking soda over them to help absorb some of the smells. Excess humidity or moisture may cause the couch to smell musty. 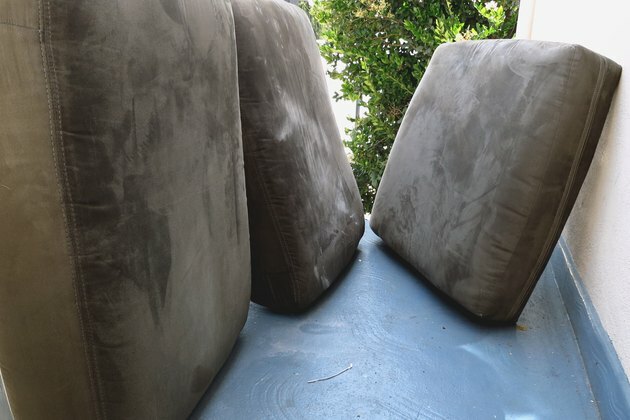 If the cushions do not come off the couch or you are unable to air out the entire sofa outdoors, open windows or turn on a dehumidifier or air conditioner to help remove some of the mustiness. 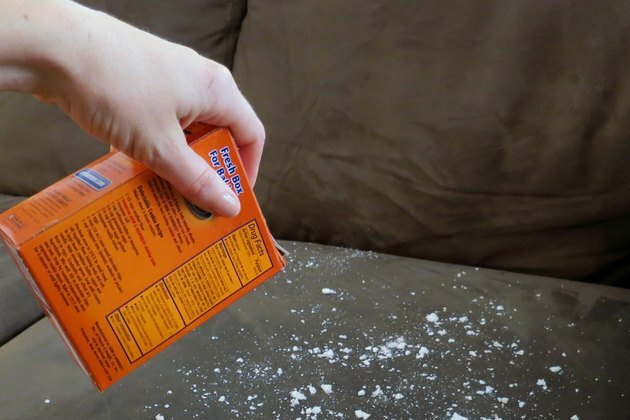 Sprinkle baking soda over the sofa during the odor-removal process. Verify that any room with furniture in it has adequate air circulation and at least some daylight to help prevent such odors. If the cushions have zippers, open them and stuff wads of newspaper inside to help absorb some of the smell, whether freshening the cushions indoors or out. Beer reeks after it soaks into clothing or upholstery. To help get that barroom-trash odor out of your couch cushions, blot up as much of the beer as possible with paper towels. Mix 1 tablespoon white vinegar into 2/3 cup rubbing alcohol,, and then blot the spill area with a white cloth dipped into the vinegar mixture. Alternate blotting with a dry cloth and a cloth soaked in the vinegar solution, and then blot the area once more with a damp clean cloth. Blot again with a dry cloth and allow the area to dry completely before sitting on it. Urine odors in the upholstery can be unpleasant, whether they came from a toddler or a terrier. Blot up as much of the liquid as possible with paper towels, and then dilute the spot with a little lukewarm water. 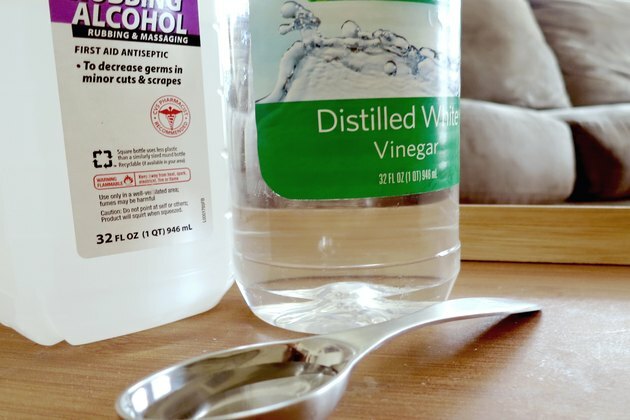 Mix a little white vinegar with a squirt or two of dish soap. Blot the spot with the vinegar-and-soap solution using a soft white cloth. Allow it to soak in for 15 minutes or so; rinse the cloth and blot the area with water to remove the vinegar and soap. Dab the area with a dry cloth to absorb some of the moisture, and then allow it to air dry completely. If the odor remains after cleaning, use an enzymatic cleaner designed for pet-stain removal.